O.K. It's official I 'm a total dork...I posted this picture on my family blog a couple of weeks ago because I was so exctied to get my Scentsy Welcome Kit! That was my first uber dorkey move. And THEN today...I recieved my first shipment from m very first Scentsy order and was still just as giddy! What is wrong with me? Am I getting old? No "funny" answers her please... Is there something in this stuff that makes me coo coo crazy? Really..it takes a lot to get me excited...Like Chocolate cake excited without there being a sliver of chocolate cake anywhere in sight..that is when I started to realize I'm really enjoying this new adventure. The reality is I have enough to do. I am anything but bored raising 3 kids 4 and under, working outside of the home 3 days a week, and blogging my brains out until two in the morning. The fact that I just on a whim decided to sell the smellum good stuff that I got for Christmas totally confirms what I said in my "about me" page about my tendency to dabble in a few too many things. I have never really been one to not try something if it interests me though and I suppose that can be a good thing. Right? So here is my CHEESY picture of my delivery today. I even went so far as to take out the the full size Hampton warmer just to see how it looked with some of my new spring accessories. That's not a big deal right? But then...I break out the camera..Weirdo! And here is the Hampton in all her glory..I think she looks good for spring! Anywho..I am just going to accept the fact that I have been won over by all the wonderful scents that are arriving at my door. It is too much fun and really I don't know a girl that wouldn't get at least a little excited about this stuff! In doing my research I have found that not only are these puppies safer because you can enjoy a candle fragrance 24/7 without a flame, soot, or smoke but you can also save some hard earned $$. Apparently 7 out of 10 households burn candles and the average large candle is $20 and lasts 40-60 hours. If you burned a candle a month(it would only be lit a few hours at a time) then you could save $137.00 a year using a Scentsy full size warmer and you don't have to only enjoy that yumtastic smell a few hours at a time! I am obviously pretty impressed by this info! Giddy I tell ya! Sunburst LOVE..I have to try this! Oh look what I came across today! 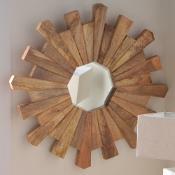 I love this sunburst mirror project that The Nester posted about a few months ago. There are a ton of great sunburst mirrors out there and many many bloggers that have reinvented less expensive versions of them. When I was craving one for above our bed in our mini master makeover a couple of years ago I thought about trying ot get creative and make something but nothing that I came up with seemed substantial enough for the space. So I ended up buying this gorgeous Nate Berkus mirror. It was definitely not the thrifty way to go about it but when comparing it with some others out on the market it was a fairly decent price. I had been so thrifty elsewhere that I didn't feel as guilty with one splurge. Even though I have seen many great DIY versions I am still loving my choice! That being said I wouldn't mind covering my whole house in sunbursts...I have had a love for them for the past several years that hasn't faded yet! Just think about all the options of The Nester's version you could make. 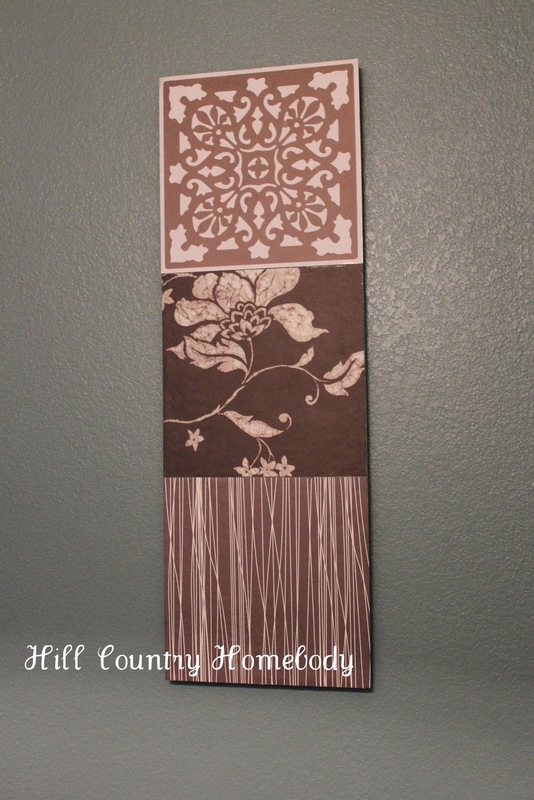 With all the different types of paper and/or poster board you could create a gazillion different looks! If you try this I would love to see what version you produce! 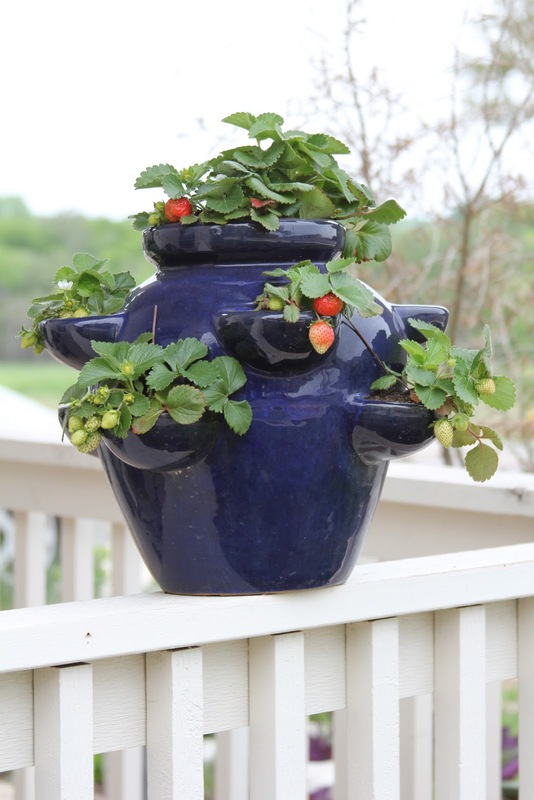 Check out The Nesters link aboce for step by step instructions..Happy Creating! A week or so ago I decided to start tackling a little art project. I had been envisioning a simple piece of wood framed out, stained a nice gray with some kind of white design painted on. So off to home depot for their super convenient 2 x 2 piece of plywood($4.77), some of the cheapest trim I could find which was .68 a foot and it said it was "trellis" trim(1 1/2wide x 1/4thick). So I spent a little over $10 on the wood. I laid the trim out and marked where I needed to cut(I didn't miter the corners so two pieces are a bit longer than the other two). If you lay it out it makes sense. Then I used some gorilla glue on each piece right before I used the nail gun to attach it. I had to have hubby hold the pieces as I nailed them to keep all the edges lined up. I bought the cheapest materials I could so I didn't have a real good thickness to work with when nailing but it worked..Only one nail popped through but hey it adds to the rustic charm right? Here is how it looked once all the trim was attached. Here is my sad little nail that came through.. I sanded the whole piece to even up the edges and just take a bit of the roughness off of it. Then took my minwax water based stain in slate($10) and applied with a sponge brush and wiped away the excess with a cloth. 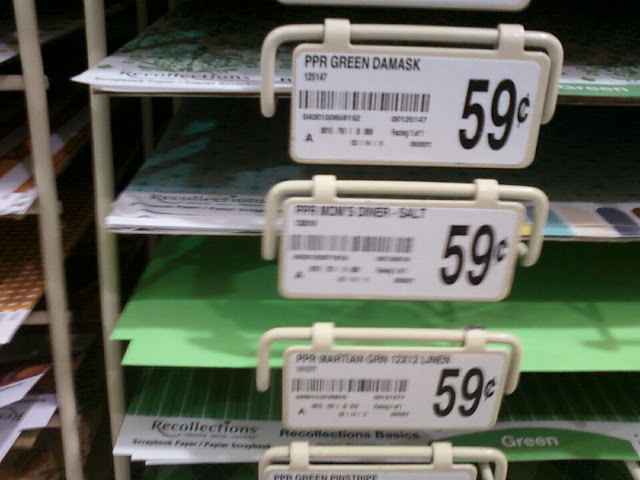 I LOVE all the gorgeous stencils that I'm seeing out there but I have been a little shocked at the prices. I originally wanted to do a rustic looking piece of wall art but I am no artist so I decided I would go the stencil route since I can't draw a good stick figure. 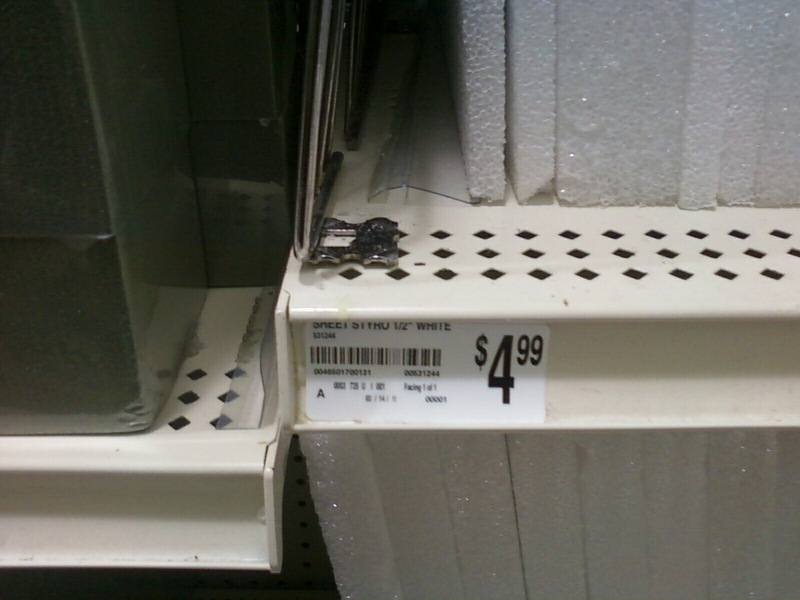 I started researching the ones I really like and they were anywhere from 29.99 to 49.99. Gulp...that was going to add a penny or two more to this project. So after a little research I came across this Free Stencil on the This Old House website. It was too large for the look I was going for so I minimized it 50% on our copier, cut it out and then played with the design. Lining up all the points on the stencil made it much easier to just go for it and not have to measure anything. I traced the stencil on with chalk. I don't know if this was a good route to go or not but it worked for since I was painting the design with white and planing on roughing it up a bit. I couldn't find the white paint that I thought we had laying around so I just used the Kilz that we had in the garage. I also didn't have a good brush to use but just went with it because I was determined not to spend $$ on anything but the wood and stain. After it was all painted I roughed it up a bit with my sanding block . Here it is on our living room wall..Looked kind of blah there with nothing around it.. So I threw it up on what I call my mantel since we don't have one...I liked it much better here! 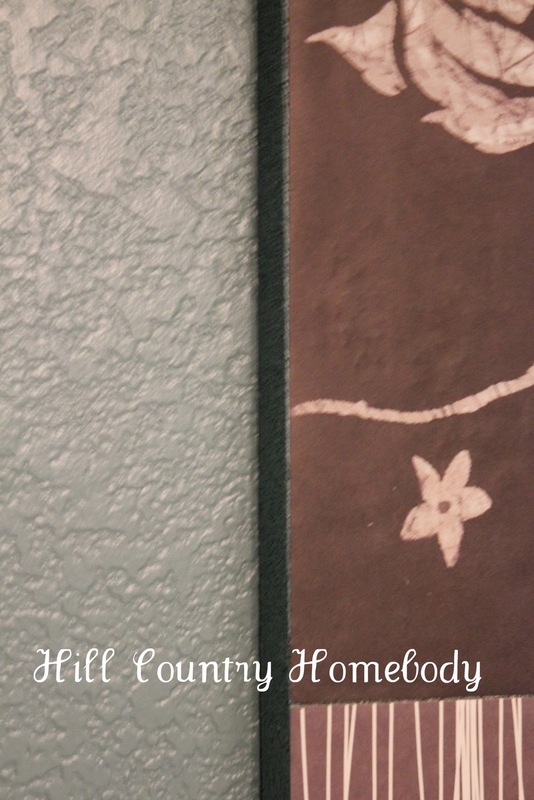 Here is a close up of that shows off the messy rustic finish! I linked this project to several of the parties in my sidebar on the right and in the "party" tab. And at the The Lettered Cottage who have a fab big button to post right here but I can't get it to work..Arg. We went away for a couple of days and came home to spring in half bloom! 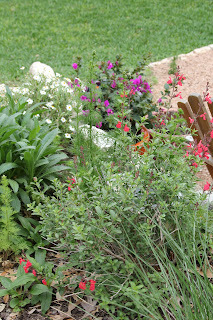 I would say full bloom but I know that in the next few weeks our flower beds are gonna be crazy with color! That is the beauty of wildflowers! I should know this but I think that purple guy in the picture below is a larkspur...correct me if I'm wrong..I like to know this stuff! Do you see what I mean about the craziness that is about to bloom in this bed? I just really like this view of the beds in the back yard. 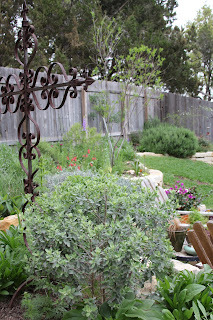 We love to mix a little rustic metal in with all of our plants. There use to be a big rusty metal cactus in the far corner but we removed it so potential homebuyers wouldn't expect it to come along with the house. 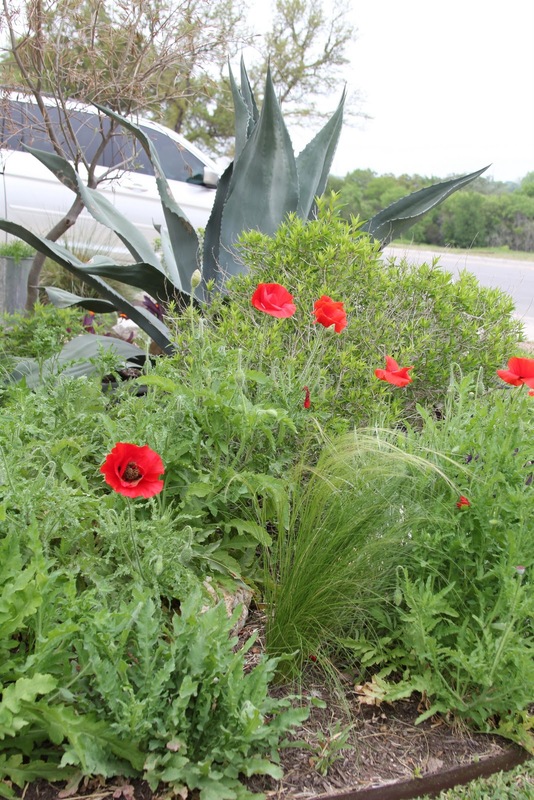 Have you ever seen a red bluebonnet? Doesn't even really make sense does it? And...it is more of a maroon color to me. Why we don't have any bluebonnets(the Texas state flower) in our yard I don't know. We will have to work on that! Love Love Love our agave plants(huge blue/gray guy in the background)...so easy and so cool! Now the lawn on the other hand...still a work in progress ....but I just had to share some of the reasons this is my favorite time of the year! No really...we did baby this little piece turf to no end. We actually like that kind of thing. It is therapy for us(except when the poor hubby can only find a window of time on a 106 degree day to mow it) . So low and behold when we noticed that it was all shriveling up and becoming a dusty baron mess. We initially thought it was a fungus issue and actually treated it as that as soon as we noticed it happening. Then when we really thought about the areas that were being affected we realized that would really make no sense. You know those seemingly senseless tracks of grass that are in between most curbs and the sidewalks? Those areas that you can never water effectively without wasting a ton of H2O in the process? Why on earth would that have a fungus issue? (this may be possible but it my brain it doesn't make sense). Yup we had grubs all over the yard. Hopefully it is past tense. Look at the damage they can do. We literally just lightly raked the lawn away in places. So we had to treat the problem of course. We always go to what we consider the best organic nursery in the land The Natural Gardener to figure out the best way to handle the situation and the safest way to do it. Our kids Love playing outside and they are usually half dressed with no shoes..not to mention the 15 month old just likes to eat rocks and dirt and sometimes she is super sneaky and gets away with it. So we opt for a pesticide free approach. We checked the natural gardener website and found that beneficial nematodes applied July -Oct was the way to go. Bbbbbbre very effective. Apply July Through October. I don't have an after picture to show you yet....That may just have to wait until we have our MLS pictures when it is all thick and lush and perfect for all the tiny naked feet that stomp, skip and jump all over it! So I leave you with this...One of our first bloomers in our yard this year. It is one of my favorites because of its grayish green leaves and awesome shape and texture. 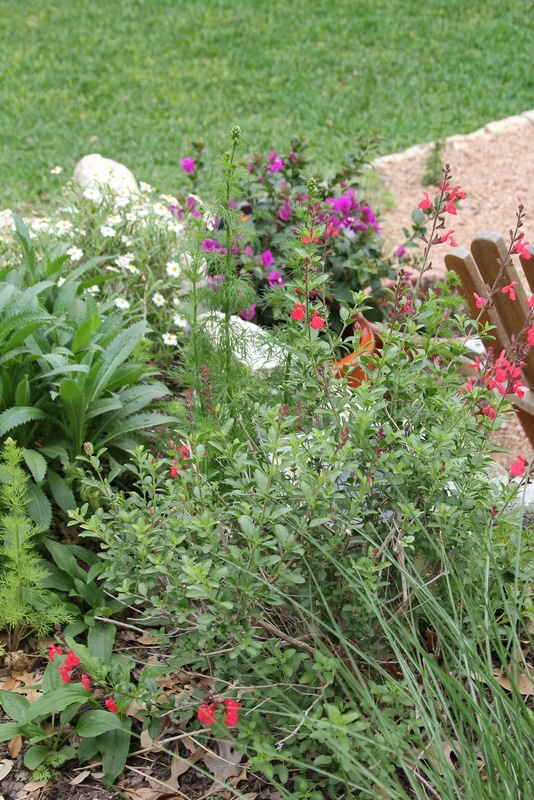 It's a Gopher plant (I am not certain I am spelling that correctly) and if you live in a climate similar to central Texas you have got to have at least one but preferably three because I think that flower beds are a lot like decorating interiors and you need odd numbers to make it look more natural. But really what is more natural than a plant..so maybe that is just crazy talk but that is how my mind works. So get out there and baby those lawns and hopefully you will reap the rewards and not be faced with replacing it like we were! Then find some scrapbooking paper that you can't live without..
Who doesn't want to have a good excuse to peruse this isle? There are some beautiful papers out there but I'm not a scrapbooker so I have to find another way to put it to use. 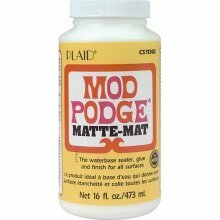 Then you need a lot of this..
You will paint a super thick coat of the modpodge on the styrofoam and then lay your paper (you have hopefully already decided on a pattern for the paper) out it and ever so gingerly smooth it out. You may be able to modpodge the top of the paper too but I thought it looked good enough and didn't want to take a chance of messing it up. Then you apply a thick coat of whatever color paint looks best to the edges to finish it off. It soaks it up of course but just keep dabbing it on..I used a sponge brush. And then you have this!!! One unexpected bonus...you can literally just put a nail in the wall and then push the styrofoam onto the nail(you want to make sure the nail is shallow enough that it won't poke through)!!! 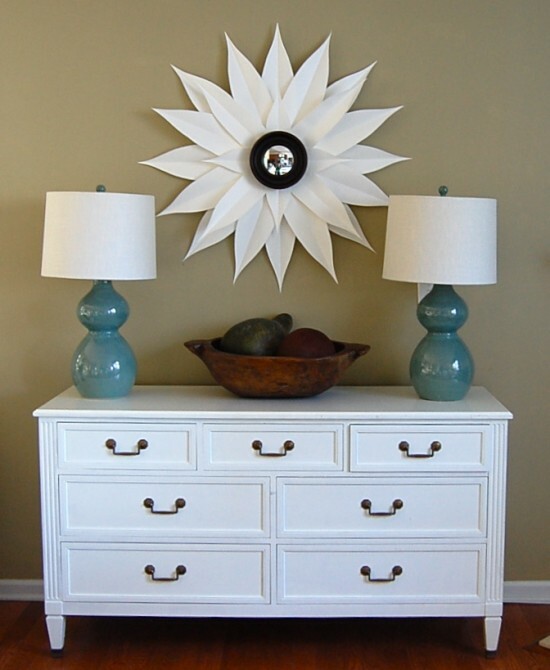 Now that's an easy peasy piece of thrifty art! There could be so many variations of this..I also cut a piece into 3 so I could have 3 separate pieces to hang instead of the long vertical hanging route that I went for with this piece. So what do you do with styrofoam? If you try this please share:) It is so fun to see what all you crafty girls come up with! 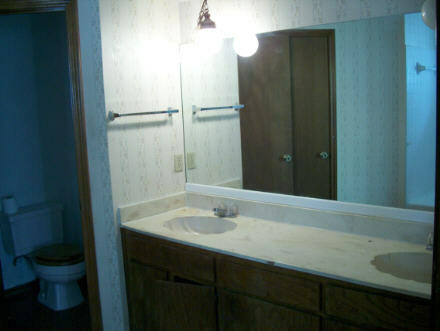 Look at that pretty vanity, the gorgeous shell sinks, the 80's wall paper, "wood look" toilet seat, peel and stick wood floors(now don't get me wrong there are actually some pretty nice wood look floors out there these days, as a matter of fact we have some in our current casa that we love)etc...you get the picture. 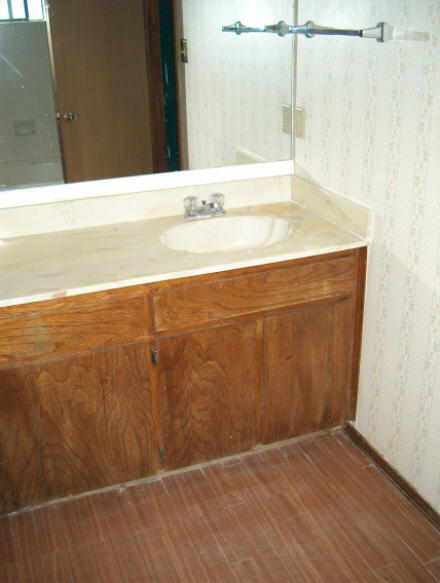 There was also a closet located in the bath that we had to paint and recarpet. So we started with demo! I didn't take many "in the process pictures" but you can see below we obviously tiled the floor with "slate like" ceramic, Made all of the trim out of MDF, replaced all of the doors( I actually spray painted all the door knobs and hinges because those puppies can really add to the budget..in a bad way) and we got another free toilet from the city of Austin like I posted about in our first bath reno. We removed the wallpaper, retextured and once again tried a yellow color that I just couldn't make myself like. 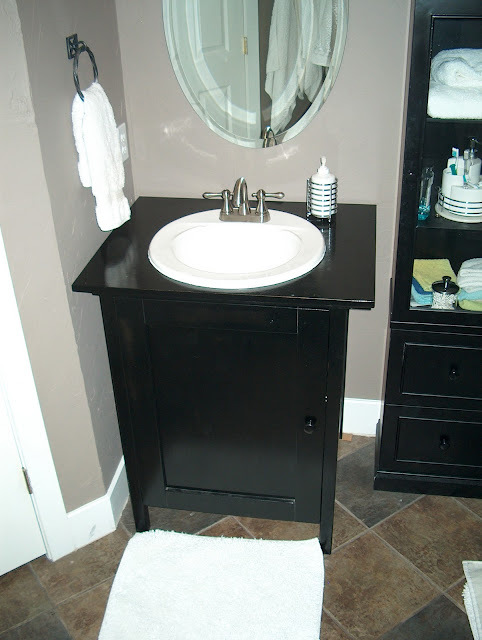 Then the hubby built these cabinets out of MDF. After lots of paint and poly they looked really good and were so inexpensive! See those lights? They are super cheap outdoor lights from home depot, the tower cabinet in the middle was from target but it was white so that got repainted and with my makeup mirror on it and all the white goodies inside I think it turned out pretty nice. The color in these pics looks a bit purple but it was a taupey grayish tone. In this pic below the door on the right is the little toilet room shown in the first picture and the one on the left was our closet. Doesn't fresh white trim and new doors make all the difference in the world? 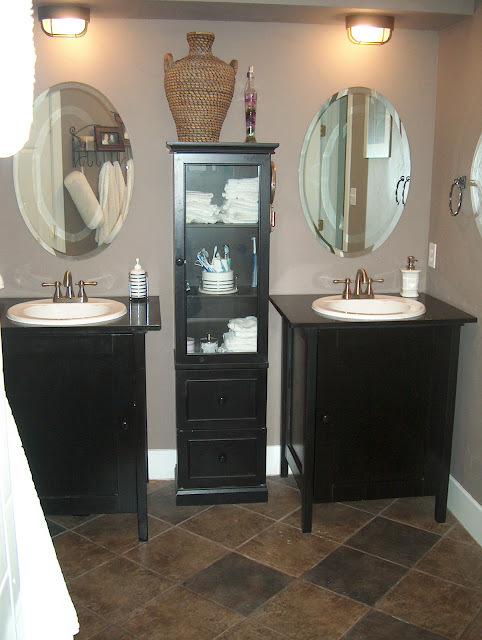 I was never good at keeping up with receipts but this was a very inexpensive yet huge makeover for our first master bathroom and we LOVED how it turned out. Oh and see that crown molding..we found it at a home materials salvage store and it was made out of styrofoam so it was really easy to work with and affordable too. 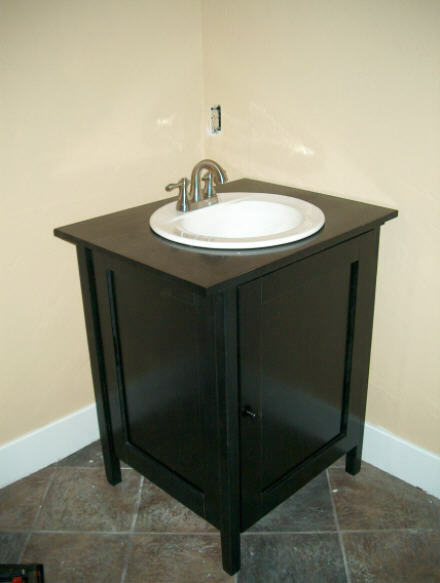 Have you guys taken full advantage of MDF in your homes? It really saved us $$ and allowed us to be able to afford a certain look without the hefty price of wood!..